Rose of Tralee international festival participants serenade the crowd at the St. Patrick’s Day Parade. The women represent the different counties of Ireland as well as the Irish communities of other cities and nations around the globe. A large contingent of marchers from Catholic Charities of the Archdiocese of New York line up behind their banner. The New York City St. Patrick’s Day Parade paid special tribute to Catholic Charities and the New York State Police, both of which are marking their centennial. The annual St. Patrick’s Day Parade honored two organizations that are celebrating their centennial this year: New York Catholic Charities and the New York State Police. Contingents from both marched in the parade. Cardinal Dolan celebrated the annual St. Patrick’s Day Mass in the cathedral that bears the name of the patron of the Archdiocese of New York. The homilist was Msgr. Kevin Sullivan, executive director of New York Catholic Charities. The cardinal welcomed all who attended the Mass. He greeted dignitaries including New York City Mayor Bill DiBlasio and the Parade Grand Marshal, Michael J. Dowling, president and CEO of Northwell Health, a large health care network based on Long Island. The cardinal also welcomed all those in uniform, including the members of the Regiment of New York, the famed “Fighting 69th,” who marched into the cathedral behind their color guard and later led the parade up Fifth Avenue. 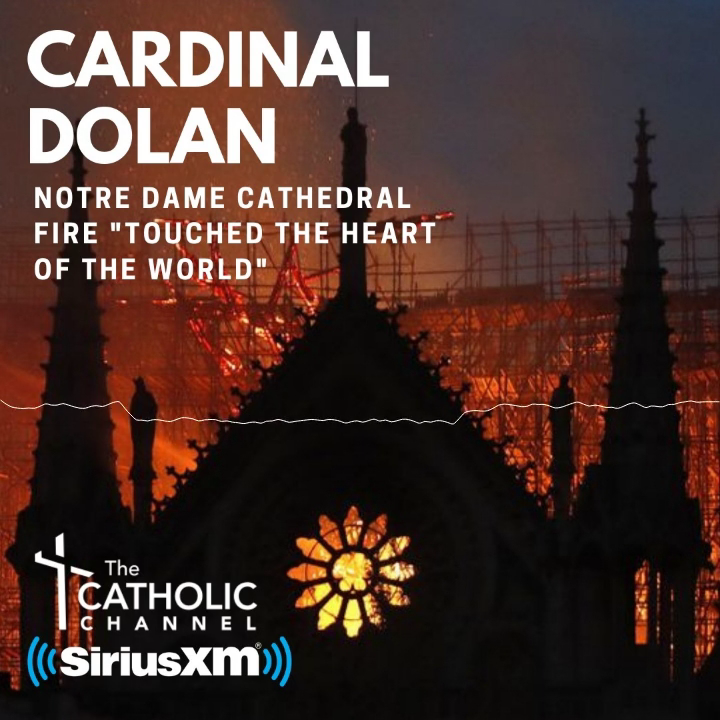 Cardinal Dolan welcomed Patti Ann McDonald, widow of Det. Steven McDonald, and the couple’s son, Conor. Det. McDonald, who died Jan. 10 at age 59, was shot and paralyzed by a teenage gunman in 1986. He traveled and spoke extensively to promote a message of forgiveness and nonviolence. The cardinal notes that he “was always here on St. Patrick’s Day.” Sgt. Conor McDonald is a member of the New York Police Department and marched with the police. Msgr. Sullivan, in his homily, noted that St. Patrick bore much suffering, and so have the Irish people through the centuries. He compared their ordeals with the anguish of today’s refugees and immigrants. Msgr. Sullivan remarked that St. Patrick and his followers “had what is perhaps the greatest success in spreading the Christian faith since St. Paul.” The path to the kingdom of God is the same path that led to the cross, but those who walk in it do not travel alone, he said. Msgr. Sullivan said that the Irish have made two outstanding contributions; the first is “to charity and philanthropy as a necessary expression of our Catholic faith.” He cited Cardinal Patrick Hayes of New York for his expansion of Catholic Charities, and also praised religious sisters for their service. “No group has been more dedicated to the work of Christian charity and justice than women religious, more than a few of whom are of Irish descent,” Msgr. Sullivan said. The second contribution is understanding the Catholic faith as “universal and inclusive.” Irish missionaries, he said, have truly fulfilled the command of Christ to baptize and teach all nations. In the New York Archdiocese, he continued, this has been demonstrated “in the impulse, admittedly not without some serious struggles, to include and welcome others, especially newcomers, into our Catholic communities of faith.” He offered examples: Cardinal Francis Spellman ended the creation of national parishes and directed that Spanish-speaking Catholics be welcomed into existing parishes; Bishop Dennis Sullivan, now ordinary of Camden, N.J., greeted Hispanics and Chinese in their own languages when he was ordained a bishop in the cathedral; the cathedral rector, Msgr. Robert Ritchie, inaugurated a Mass in Spanish every Sunday. “Charity and an inclusive universality stand as a strong Irish legacy,” Msgr. Sullivan said. Two hours later, the steps and sidewalk in front of the cathedral were filled with parade-goers. It was a lively spot; pipers and politicians, dignitaries and drummers and dancers—everyone stopped in front of St. Patrick’s. Muna Chung came to the United States last year and lives in Jersey City, N.J. An Iraqi by birth, she lived in Ireland for four years as a child while her father, a surgeon, studied and practiced there. She volunteers with NYC Medics, a relief group that sends doctors and nurses to war zones, now including Mosul. Father David Nolan, pastor of St. Joseph of the Holy Family parish in Harlem, attended with Father Joseph Kinda of Burkina Faso, who is serving at the parish. Father Kinda is ministering to French-speaking Africans, and plans to continue his studies in communications. Father Nolan said that Father Kinda celebrates a Mass on Sundays that previously was not well attended and is now drawing 400 worshipers weekly. Father Kinda watched the parade with delight and seemed equally joyful about being in New York City.